Free Download King's Legacy Game or Get Full Unlimited Game Version! Build your medieval kingdom and protect your people, explore, trade, gather resources, learn magic and spells in King's Legacy! In order to get advantaged of playing King's Legacy full unlimiteg game version you must register the game. Anya was the King’s Smith until a sudden betrayal changed everything! Help Anya discover the traitor and save the kingdom! Travel to a mysterious city and save your love from an ancient curse. 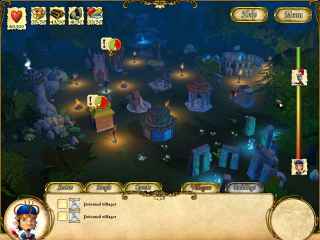 Solve perplexing puzzles and explore colorful locations in "Draculaâ€™s Legacy".